The Taylor property became a rail yard in the 1920’s, when Southern Pacific Railroad outgrew its Midway Yard facility. Major development on the Taylor Yard site occurred in the early 30's with construction of the south turntable, machine shops and other related buildings. Its primary purpose was a freight-switching facility where freight cars were combined and re-routed to different destinations. For a time, some estimate that Southern Pacific Railroad employed nearly 75% of the workforce in the surrounding communities. 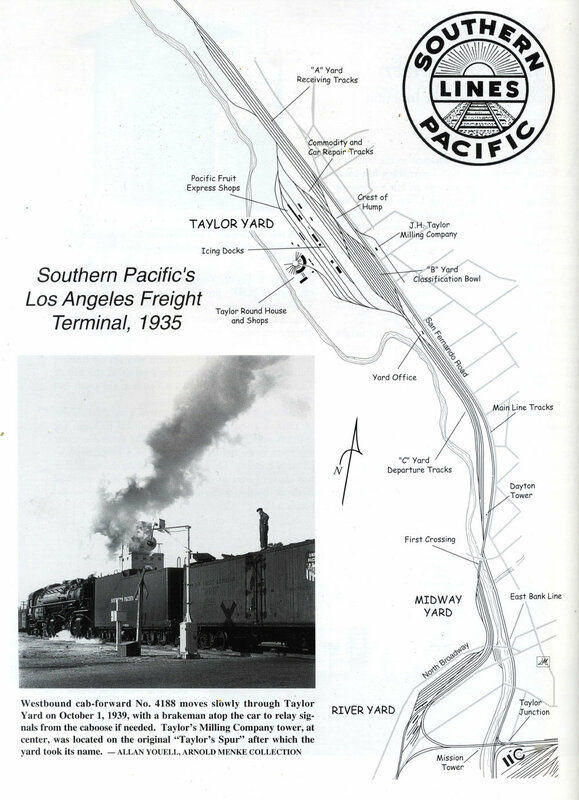 The intense use and activity at Taylor Yard began to change in the 1960's as Southern Pacific re-routed its north-south trains through the Cajon Pass instead of through downtown Los Angeles. With the completion of the West Colton Yard in 1973, the necessity for Taylor Yard operations also changed. In 1985, Taylor Yard closed its long-standing purpose as a freight switching facility. This change also caused a loss of several hundred jobs to residents of the local communities. As the need for operating space diminished, the Southern Pacific Railroad decided to sell roughly 3/4 of the site. They relocated the rail line away from its alignment along San Fernando Road and towards the LA River. Then they proceeded to parcel out the land for sale. Working with the Dept. of Toxic Substance Control, (under Cal-EPA) they undertook an extensive analysis of the contaminated soils and developed an action plan for remediation. Clean up was completed on the initial sale parcels in 1997 and the DTSC certified that the land required no development restrictions. A Metrolink Maintenance Facility was the first new use developed on 29 acres at the southernmost end of Taylor Yard. The project moved forward without public review and the community voiced their outrage. A lawsuit was filed which resulted in the Los Angeles County Transportation Authority agreeing to fund several mitigations to the project: the large mural on the side of the building, the plantings along San Fernando Road and the public art project located along the access road. An agreement was also reached for the agency to fund a future pedestrian bridge over the river.